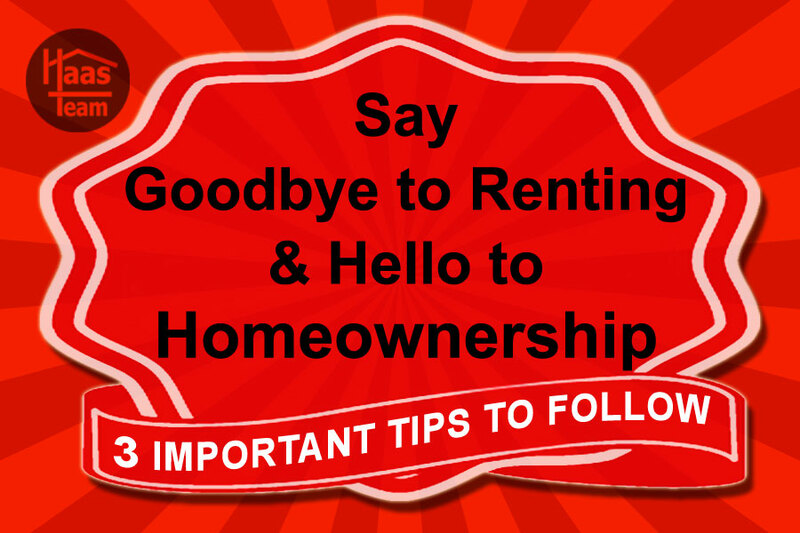 If you are renting a home or apartment and you would like to become a home owner, instead of supporting your landlord, you should start planning now on how to make this happen. Yes, home values are up in the Eugene and Springfield area, but mortgage interest rates remain extremely affordable. Many times, home payments will be far less than rents and also have some great tax advantages. Here is an article from "Realty Times" that gives some ideas on how to get ready for your first home purchase. In order to leave the land of rent, you are going to need a down payment — plain and simple. While it is common to put down 20 percent, some lenders now allow a much smaller amount, and first-time home buyer programs may go as low as 3 percent. While a smaller down payment may sound enticing, a 5 percent down payment on a $200K home is still $10,000 — not exactly a small sum. If saving money does not come naturally for you, don’t worry. With some relatively minor lifestyle changes you can speed up the down payment savings process. Come up with a savings plan to determine how much you need to set aside every week or month and then find ways to “find” that money in your budget. Using the $10,000 example from before, if you are determined to buy a home in two years, you’ll have to come up with about $415 a month to stash into your down payment account. Take a close look at your monthly bills and determine what you can pare down or eliminate — maybe you are paying $75 a month for a gym membership you rarely use, or you pay $40 extra for premium satellite channels that no one watches. These services can be cancelled and the money can go directly into your savings account. Eat out less, have Starbucks twice a week instead of every day and if you need to, consider a side hustle on the weekends to reach this magical monthly amount of $415. Unfortunately, the chances of becoming a victim of identity theft increase when you are buying and moving into a new home. The stacks of documents that are part of buying a home and that are filled with your personal information may accidentally fall into the wrong hands, and once you move, mail may not be routed correctly and thieves may steal your mail and your identity from your old mailbox. Prevent this situation from happening by purchasing an identity theft protection program; find a trusted company that will help safeguard your personal data. In addition to letting you know when a bank pulls your credit report and asking if you have authorized this inquiry, certain services will monitor your financial activity and alert you if anything is amiss. When you start the pre-approval process for a loan and then move on to the Big Kahuna of applying for an actual mortgage, your credit report will be pulled numerous times. Your credit score will then be used to determine if you are approved for a loan, and what type of interest rate you will get. Please do not wait until you have the down payment saved and you are champing at the bit to go look at houses to check your FICO score — check your credit as early in the process as you can. If you have a credit card that has been issued through your bank, give them a call and see if they can run your report for you for free; in the cases of some credit cards, they also offer a free monthly FICO score check. Read through the report and check for any errors; this includes credit lines you never opened and delinquent payments that you know were made on time. Dispute any mistakes that you find and look for ways to boost your credit score, like paying down credit card bills and setting up automatic bill pay so you are never late with your payments.